This has to be my favourite look ... love the mix of patterns and prints! 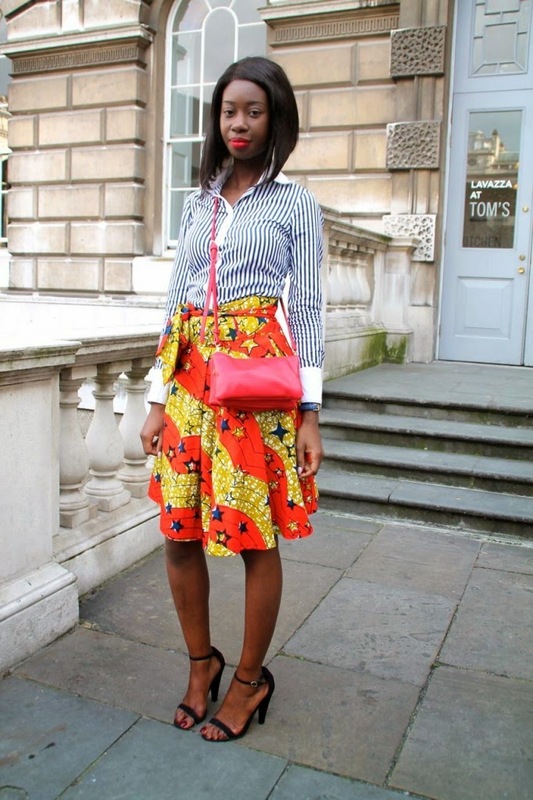 I love the contrast between the stripes and the African print, do I need to go to Ghana to get a skirt like that?! Thanks for commenting as always Lauren. 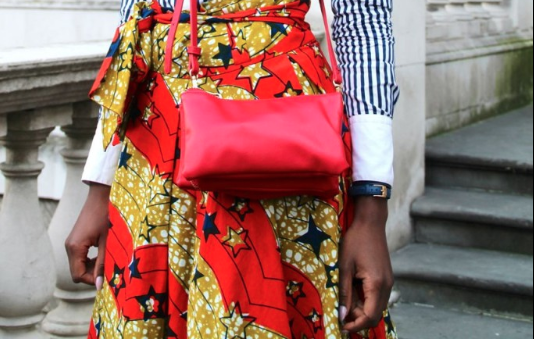 Not necessarily you can buy the Ankara Fabric from markets/stores and have a tailor make you a skirt. Perhaps you can check Signature In. Based In Glasgow. http://signaturein.co.uk they sell fabric and made to measure services.